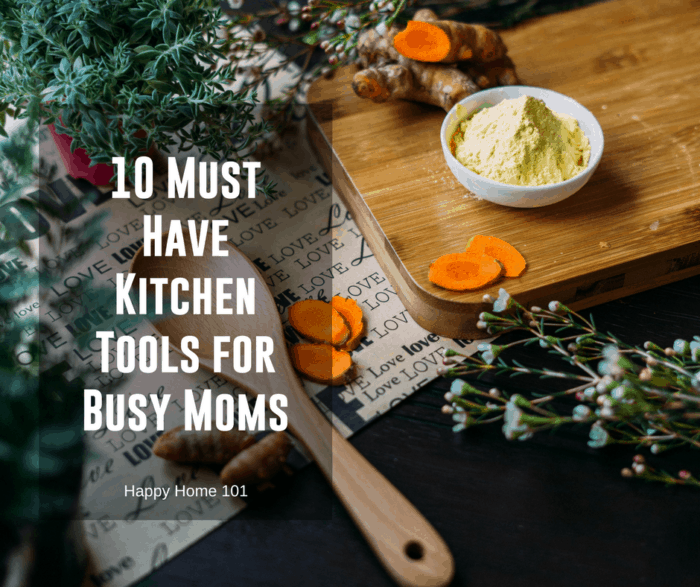 Busy moms need awesome kitchen tools to save time and make cooking and serving meals to our family efficient and enjoyable. 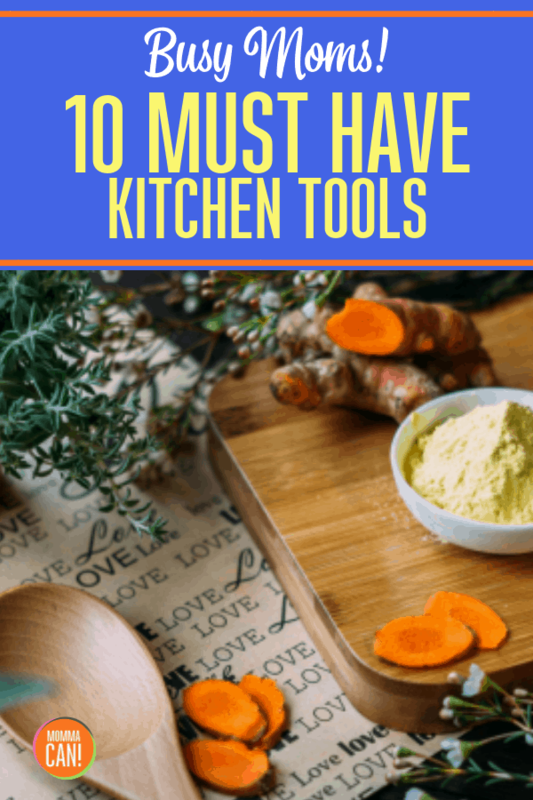 I recently asked friends, family, and several readers what they felt the best kitchen tools busy moms must have. Instant Pot Duo is a 7-in-1 programmable cooker, it replaces 7 kitchen appliances as it has the functions of a pressure cooker, slow cooker, rice cooker, steamer, sauté, yogurt maker & warmer. Instantly read the temp on BBQ, Baked goods, casseroles and more! I keep one in my apron pocket! Keep at the least two, but four is better of kitchen tongs. Having spares helps to prevent cross-contamination, especially when you are super busy and don’t have time to wash and sanitize your kitchen tongs in between usees. This is especially helpful during busy holiday seasons. Have at least two spatulas as well to always have one clean and ready. I keep two silicon standard sizes, one short, and one stainless steel as well as a fish turner. A great all-around purpose chef knife is a must in a kitchen drawer and this Victorinox 8 inch Chef knife is a great one and a real bargain. The perfect little paring knife for garnishing, mincing, peeling, slicing and dicing and another great price! Everyone needs a great kitchen timer! Kitchen timers are useful as you can use a spare when baking different dishes at the same time in the oven. These are also great with the kiddos homework, music practice, and other activities. This rooster is so adorable, who can resist? The Rockcrok® Dutch Oven is your go-to for serving a crowd. It’s perfect for soup, stew, chili, braised meat, dessert and our family favorite, Chicken in the Microwave. Use it for every cooking method—stovetop, broiler, oven, microwave, and grill. It will quickly become your favorite cookware! This is also the pot used for the best darn Spicy Turkey Chili you will ever taste. Find the recipe here. Clear, flat lid allows for convenient stacking when not in use, top rack dishwasher safe. This salad spinner is recommended by America’s Test kitchen! Win! Originally sold by Swing Away beginning in 1954 this is one USA made kitchen tool that has remained built to last! It is a fabulous mainstay for more than 60 years for busy moms!